The Year of Tolerance goes beyond acceptance and understanding of one’s differences, especially in terms of culture and traditions among people living in the UAE. It also represents charity and offering help to those in need, based on the principles of Islam, as upheld by His Highness Sheikh Mohammed bin Rashid Al Maktoum, Emir of Dubai, Vice-President and Prime Minister of the UAE. With the vision to address food wastage and extend help to those in need, the municipality of Dubai has officially opened the third UAE Food Bank in Muhaisana 2 last Tuesday (February 5). 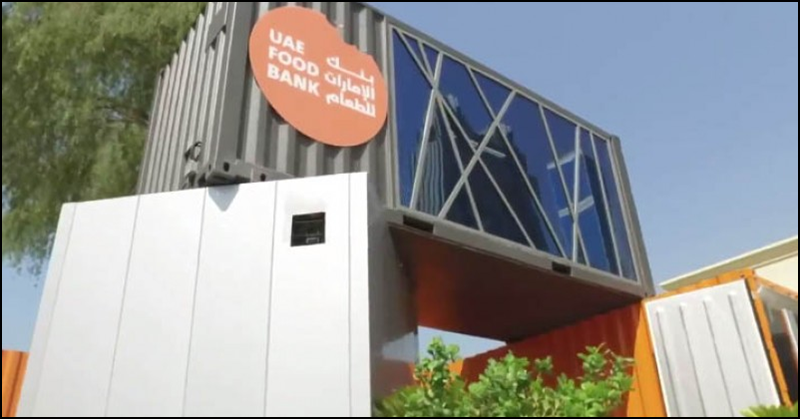 According to the UAE Food Bank website, the vision for the establishment of these charitable centres is to reuse most excess food from various entities by gathering, storing, and distributing it to those in need; expand the UAE Food Bank by strategically establishing branches in various parts of the world. Through partnerships with regional and international organizations, it also aims to develop a global network and become the largest humanitarian body for food distribution in the region. Moreover, the food bank intends to collect food waste not suitable for human consumption and process them for use in the chemical and fertilizer industries, as well as for energy production. It also seeks to cut down the amount of food wastes gradually and according to the framework of the phased plan, so that Dubai can become the first city in the region to achieve “zero waste” status. Situated near the labour camps in Muhaisana, the new food bank will accept food surplus packages and canned foods from supermarkets and food establishments within the area, which will be handed over to partner charity organizations that will distribute them to individuals and family in need. According to Dawood Al Hajiri, Director General of Dubai Municipality and Vice Chairman of the Board of Trustees of the UAE Food Bank, since the establishment of the charitable initiative in 2017, a total of 4,500 tonnes of food products have been collected and distributed to people in need. Hajiri also shared that the Dubai Municipality is coordinating with the Abu Dhabi Municipality to expand the programme into the capital. Separate banks will also be launched in Ajman and Ras Al Khaimah later this year as well, according to Dubai Municipality officials. The initiative is a very practical and timely one, as more and more people need help from the government, especially those who are only earning the minimum wage or have large families to support. With the expected establishment of more food banks in the country, this will certainly help the government’s vision to help more of its citizens.